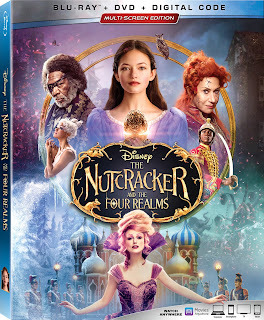 Not being overly familiar with the German story from which the famous ballet drew its inspiration I was completely game for this Disneyfied version of The Nutcracker story. If nothing else, I thought The Nutcracker and the Four Realms might make me feel like a kid again. You know, being fed classic literature through the guise of Walt Disney’s interpretation and being spared any gory or potentially upsetting details in favor of being sent home with a belly full of sentimental, if not substantial, satisfaction. This, coupled with the fact it might be nice to get a break from what might have otherwise been another “live-action” re-imagining of one of my childhood classics made for a fair amount of-I won’t say excitement, but eagerness on my part. The fact it clocked in at a brisk 90-minutes didn’t hurt either. 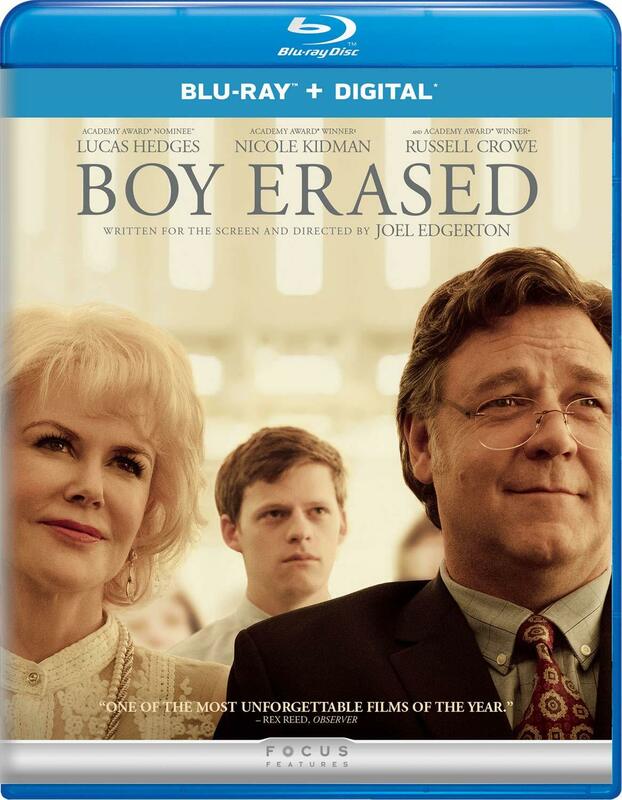 And for the first half hour or so I was on board with what both the Mouse House and director-for-hire Lasse Hallström (What’s Eating Gilbert Grape, The Cider House Rules) were doing and seemingly wanted to do. Without so much as breaking a sweat the film instinctively provides this necessary aura of Christmas warmth. 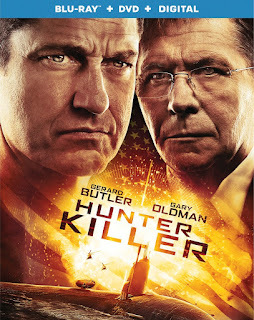 I say Hallström is a director-for-hire because that’s what it feels like at this stage in his career and with this type of project, but as one can tell from the man’s past credits this is not a single-faceted filmmaker and thus there are some very cool, very classic choices in terms of style as not only does the film pay homage to large ballet productions, but to the golden-age of movie musicals as well. I won’t sit here and pretend I know all there is to know about classic Hollywood musicals or ballet productions and make comments on how Hallström uses there influence to craft his visuals, but I will say that thousands of life-size mice forming together in constant motion to create one big Mouse King is absolutely terrifying and also rather visually inventive too. So, there’s that. It is once the parameters of the plot are defined and the characters all established that things become all the more predictable; the motivations of the characters and the lessons intended to be taught all equally as obvious. Our protagonist, Clara (Interstellar’s Mackenzie Foy), is meant to learn lessons about and the differences between trust and responsibility as well as deception through this journey she has to commit to completing on her own and though these may feel like terribly trite lessons, there is something to be said for the fact that sometimes all people need for you to do is trust in yourself and hold strong to your ideals. 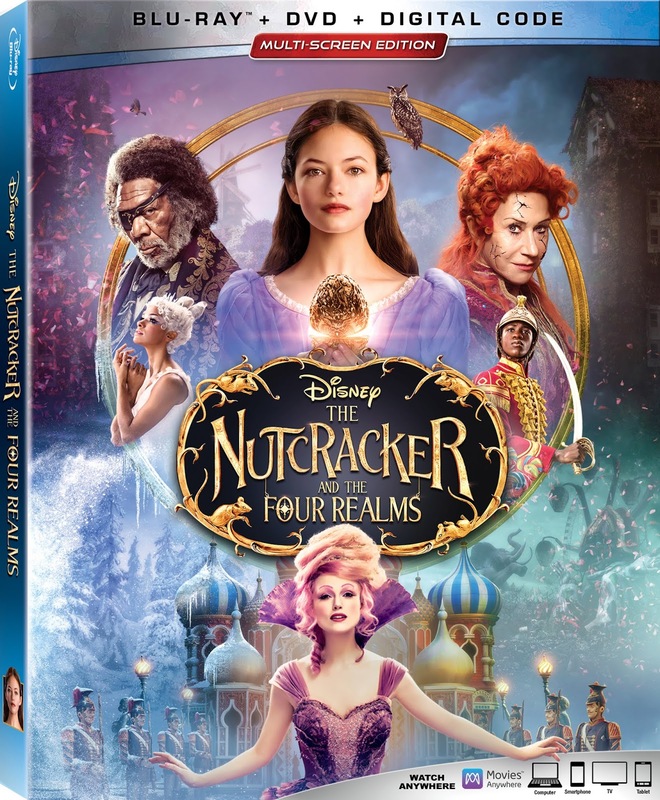 It is in this regard that it’s hard to come down on The Nutcracker and the Four Realms in any real, harsh way. The fact the film starts off strong enough and initially feels as if it might become as immersive as the very expensive digital effects and fantastical sets make it seem to be only makes it more odd that it very quickly devolves into a stilted narrative that often times feels as if it too still has to work out the plot. Instead of putting in the work to figure out how the story might naturally progress though, and finding a resolution that might stress the aforementioned themes it instead hurries through the beats of a discarded YA script to reach an underwhelming and lackadaisical finale. Morgan Freeman has maybe (maybe) a day’s worth of work in here and Helen Mirren barely registers. The same goes for Eugenio Derbez and Richard E. Grant who are massively wasted as afterthought supporting characters while Keira Knightley makes a (bold?) choice with that voice. More Matthew Macfadyen in things though, please. Thanks. "There's nothing more dangerous than a writer whose feelings have been hurt." 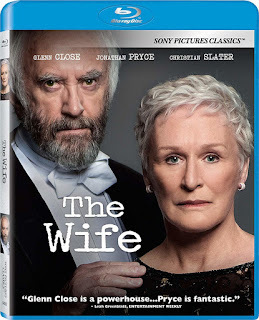 The Wife is one of those movies you'll want to watch again as soon as you finish it the first time if not for how intense or fascinating it is, but for the delicately layered elements of perception versus reality that both Glenn Close and Jonathan Pryce convey over the course of it. The Wife may look like your typical stuffy, Oscar drama fueled solely by the performances of its illustrious lead and while it most definitely is all of those things it also turns out to be much more than this; a searing portrait of intimacy and how as much between two people can be both the most familiar and painful thing in ones life. As has become common with Amazon studios releases in my neck of the woods...they simply don't make it here. Neither You Were Never Really Here, Don't Worry, He Won't Get Far on Foot, or Cold War have opened in a theater near me and while I was pleasantly surprised I was able to catch the likes of Beautiful Boy and Life Itself in a theater, but the movie I was most looking forward to from the studio last fall, the one I would have most liked to experience on the big screen, was Suspiria and that just wasn't going to happen. 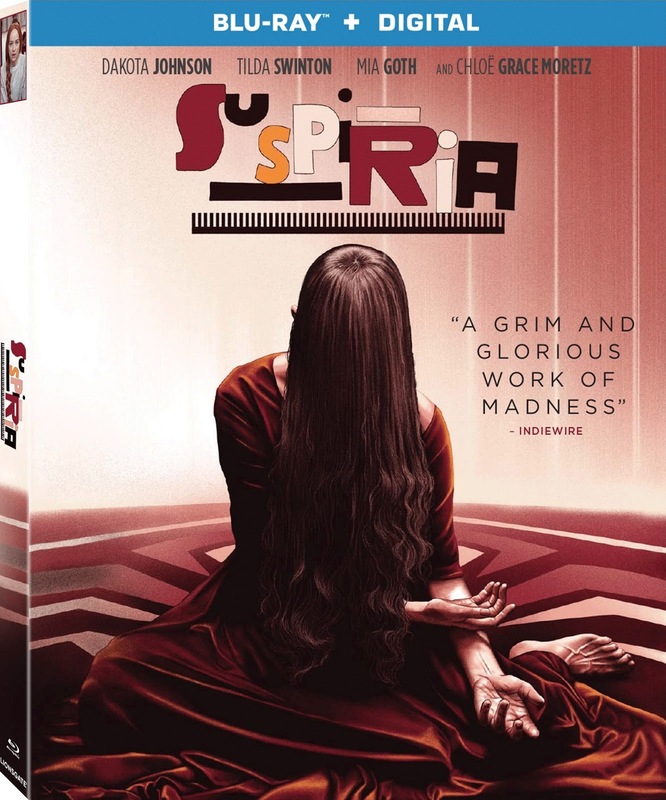 Director Luca Guadagnino's (Call Me By Your Name) re-make of Dario Argento's 1977 film stars, among others, Dakota Johnson, Tilda Swinton, and Chloë Grace Moretz in a story about a world-renowned dance company that engulfs the artistic director, an ambitious young dancer, and a grieving psychotherapist. This thing is said to be two and a half hours of creepy insanity and I can't wait to check it out, but I'd be lying if I said I wasn't bummed it will be at home on my couch.